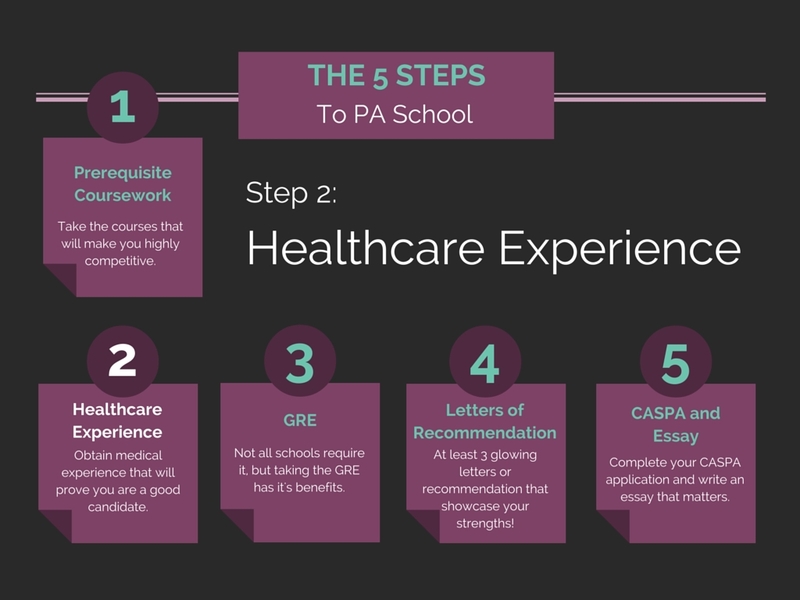 Today we are going to tackle step 2 of my 5 steps to PA school series by taking a very detailed look at healthcare experience requirements for PA school. Included, in this discussion is a side-by-side comparison of healthcare experience requirements of all PA programs in the United States. 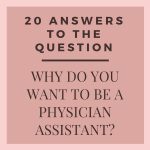 PA is different from most other health professions in that to be competitive as an applicant it often requires a very large number of hours of paid healthcare experience. But the question remains: How many hours of healthcare related experience do you need to give yourself a competitive advantage along with a broad range of application options in the shortest amount of time? 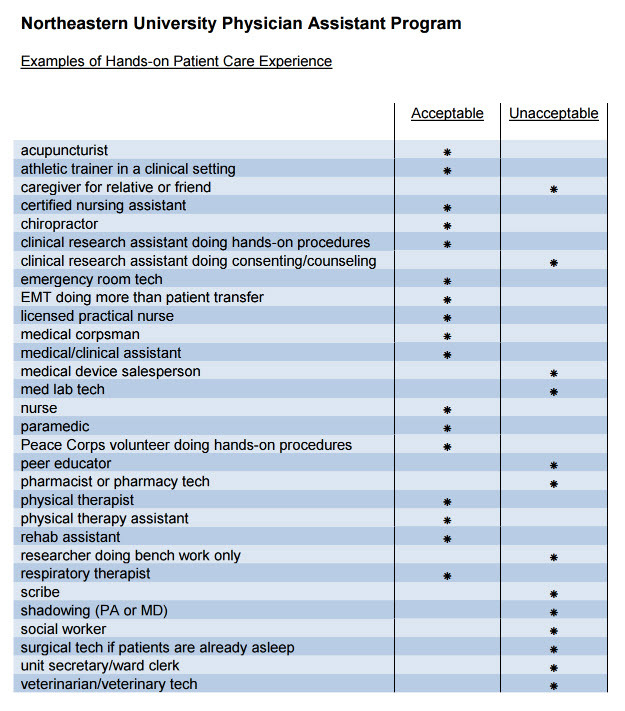 Below is a table comparing the hours of healthcare experience required and type of healthcare experience requested by the majority of Physician Assistant Programs in the United States. Medical Scribe is one of those very gray areas in that it provides exposure but is not always hands on. Many schools accept it and many don't. Healthcare Experience vs. Patient Care Experience. What's the difference? In the CASPA experience section you will be asked to enter both patient care and healthcare experience hours. They sound like the same thing, but It's important that you understand the difference as you can only enter each experience once and schools may prefer one over the other. Patient Care Experience (PCE): Experiences in which you are directly responsible for a patient's care. For example, prescribing medication, performing procedures, directing a course of treatment, designing a treatment regimen, actively working on patients as a nurse, paramedic, EMT, CNA, phlebotomist, physical therapist, dental hygienist, etc. Healthcare Experience (HCE): Both paid and unpaid work in a health or health-related field where you are not directly responsible for a patient's care, but may still have patient interaction; for example, filling prescriptions, performing clerical work, delivering patient food, cleaning patients and/or their rooms, administering food or medication, taking vitals or other record keeping information, working as a scribe, CNA (depending on job description), medical assistant, etc. To make it simple, think of patient care experience as hands-on patient care hours. Everything else is healthcare experience. It's also important not to "double dip." You can enter your experience only once, but you can divide your experience hours from one job into both PCE and HCE. For example, say you work at an interventional pain medicine clinic where you spend half your time at the front desk answering calls and the other half of your time as a patient care technician assisting in the surgery center. If you had 2000 hours of experience split equally, you would enter 1000 hours as HCE and the other 1000 hours as PCE. Problem solved! Two years working hands-on as an outpatient and inpatient phlebotomist and lab technician at the University of Washington Hospital as an undergraduate and one year part-time in the outpatient clinic. health care related work experience, paid or voluntary. Direct patient care in the United States and in an allopathic or osteopathic medical setting. At least 50 of the 250 hours must be from direct shadowing of a licensed physician assistant. Here is the form for PA shadowing. Although this form does not need to be used exclusively, all prospective students will need to retain documentation. Documentation must be available for verification. health care related volunteer or employment experience-direct patient care preferred. Paid experience with hands-on patient care. Volunteer experience with hands-on patient care. 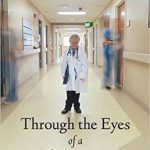 Shadowing a physician or physician assistant. If you found this table useful please share it with everyone you know :-). If you would like more info, updates from the blog and occasional free goodies please make sure to sign up for my email newsletter. What do you mean by healthcare "hours"? Just in case you are wondering: 2,000 hours is the standard definition of one year of full-time work. Simply put, there are 52 weeks in a year, assuming 2 weeks of vacation and a standard 40 hours of work per week: 50 x 40 = 2,000. Thus, a school requiring 1,000 hours would mean you could work part-time for one year and meet the healthcare experience requirements. By now you may be saying "This is great news, Stephen, only 11% of schools require more than 1,000 hours of healthcare experience, I can take it easy!" 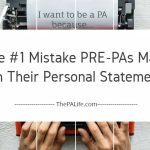 If you have read my post "Who Gets Into PA School? 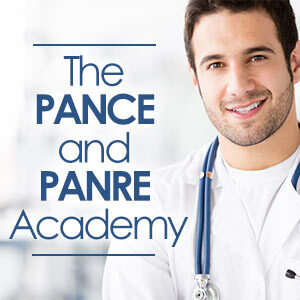 Here’s What You Need to Know" you may have noticed that according to the latest PAEA Annual Report on Physician Assistant Educational Programs in the United States, on average, among matriculating students just above 1 year (roughly 2,300 hours) of prior experience is most common. Just in case you are lazy curious I have included a list of links to PA programs which do not require healthcare experience (HCE) hours to apply. 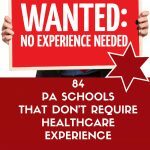 Currently, there are 3 PA schools that do not require healthcare experience upon application. Currently, there are 84 PA schools that have no healthcare experience minimums but to be competitive it is preferred/recommended. To educate and prepare Physician Assistants to serve the health care needs of diverse communities. As you can see from the table above, the acceptable experiential preparation requirements varies from school to school. 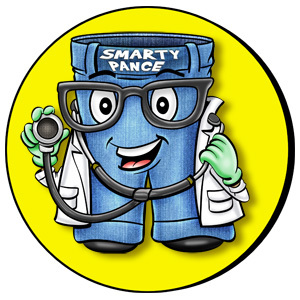 Shadowing a physician or physician assistant as acceptable HCE. 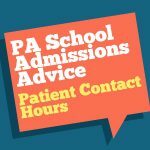 Many schools don't accept shadowing or volunteer hours as acceptable HCE so, as always, you must check the school website and contact the PA program directly if you have any questions whatsoever. In the PAEA graphs and tables above you may have noticed that HCE was broken down into 6 general categories. This is because CASPA (Central Application Service for Physician Assistants) has 6 experience categories for reporting work and volunteer activities and the PAEA report is based on CASPA applicants. Again, some PA programs will not accept HCE outside of the patient care experience category, although many do. For a wonderfully detailed look at how to report work and/or volunteer experience in each of these categories I recommend you check out Paul Gonzales' amazingly thorough explanation on his blog "Trust me, I'm a PA Student". This is the most important section. List experiences in which you are directly responsible for a patient’s care; for example: prescribing medication, performing procedures, directing a course of treatment, working on patients as an active EMT, etc. You are working in the health or a health-related field but are not directly responsible for a patient’s care; for example, filling prescriptions, performing clerical work, delivering patient food, cleaning patient rooms, working as a “Candy Striper” or hospital volunteer, etc. Time spent officially following and observing a health care professional at work. Research projects done in addition to classroom work; research should NOT appear as credit on a school transcript. Volunteer work done outside of the healthcare field; for example, working for Habitat for Humanity, tutoring children, participating in or working for a fundraiser walk or blood drive, etc. Paid work done outside of the healthcare field; for example a retail or restaurant job. Documentation of 1000 hours will be required prior to matriculation. Preferred experiences: Military corpsmen or medic, nursing (ex. certified nurse assistant, nurses aide, RN, home health care aide), EMT’s employed full time (active hours only for EMT volunteers), paramedic, medical technologist, massage therapist, radiation therapist, respiratory therapist, phlebotomist, X-Ray technologist, medical imaging, clinical counselor, medical assistant, chiropractor, PT or PT aide, athletic trainer, New Visions, volunteer experience with direct patient care. 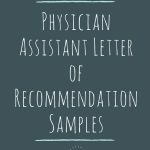 Acceptable: Shadowing a health care professional (200 hours maximum), Pharmaceutical Sales with patient contact, health-related research (will be reviewed on an individual basis), pharmacy technician (100 hours maximum). Competitive applicants are recommended (but not required) to have a minimum of six months full-time healthcare employment, or 1,000 total hours of hands-on patient care experience and/or community service in a healthcare setting. Preference is given to applicants having experience that requires a period of training and results in direct (hands-on) patient care. Evidence of community service (i.e., healthcare for underserved populations, medical mission trips) is highly valued. 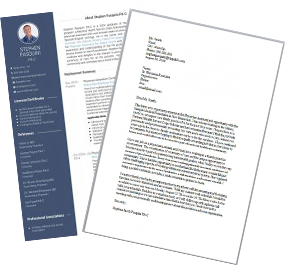 Evidence of significant direct hands-on patient care experience is required in order for applicants to have a basic understanding of and comfort with patient care as well as a minimum level of clinical maturity. Strongest preference will be given to applicants who have approximately 2000 hours of hands-on patient care experience prior to applying to the program. Applicants with less than 2000 hours may also be given consideration depending upon the strength of their entire application. Full-time paid employment done after completing your bachelor’s degree is always most competitive! Just as it is important to know what to report as HCE, it is equally important to know what not to report. Below is an example from the Duke University. The following types of experience are NOT accepted toward the 1,000 hours of patient care experience as required by Duke. medical secretary or other clerical positions. Does PA Shadowing Count Towards Healthcare Experience? Applicants are encouraged to "shadow" a PA to become knowledgeable of the role of the physician assistant; More often than not this experience does not count as patient care experience, so as I always say, make sure to contact your PA program prior to submitting your application. In his book Blink: The Power of Thinking Without Thinking – Malcolm Gladwell identifies 10,000 hours (5 years of full-time work) as the amount of time it takes to become an expert in any given field. You don't need to be a healthcare "expert" come application time but having a good number of HCE hours has big advantages. When it comes to your PA school application and HCE it is important to focus on direct, hands-on patient care experience. Although only 4% of schools require 2,000 hours or more, for the majority of PA school applicants, 2,000 hours (1 year) of direct, hands-on patient care experience is a good general rule of thumb. 2,000 hours of patient care experience places you close to the mean of 3,560 hours and above the median of 1,428 hours. It will make you much more competitive as an applicant and give you more options come application time. 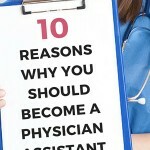 It will give you confidence in your decision to pursue PA as a career choice. You will have the necessary medical experience to sit comfortably in any interview situation. You will have the fuel for a killer personal statement. 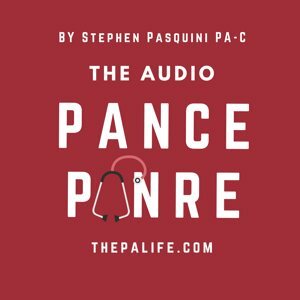 When I applied to PA school back in 2004 I had roughly 5,000 hours of direct patient contact experience as well as quite a bit of work and volunteer experience both inside and outside the realm of healthcare. I accumulated this through work as a phlebotomist both as a student in the campus health clinic and then later after graduation while working in an outpatient mobile health setting. Many schools at the time (specifically MEDEX and OHSU where I was hoping for acceptance) considered even this to be insufficient. I could have been patient and accrued more patient care experience and let more time pass but instead, I chose to throw a larger net and apply to schools that did not require so many hours. At the time many of these school were on the East Coast. People write me all the time frustrated that their schools of choice won't give them the time of day. It is important to keep your options open, the wider the net you cast the greater your chances of catching a fish. There are many ways to garner the patient care experience you need and the sooner you start the easier it will be to fulfill these requirements in a timely matter. You should aim to have enough hours to be competitive, look at the median of accepted applicants, this is a good goal to have. 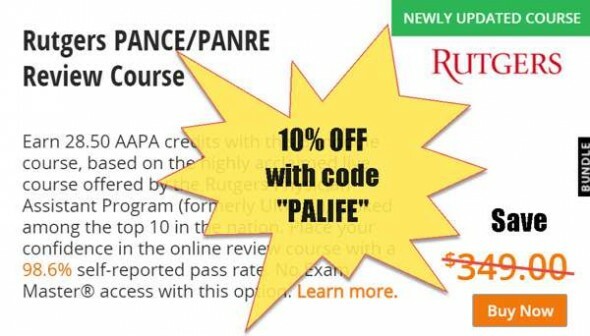 This post is part two of my continuing series: The 5 Steps of PA School. To receive immediate updates when new posts are published sign up for the blog email. HI; I have a question. I am at the point of my life where I can finally go back to school and complete a career change. I am 38, I have a Bachelors degree and graduated with a 2.75. Im starting in the fall to do all the pre-reqs, I have none. But my admissions counselor, says this is a amazing chance to pull your GPA up. In the next year ill be taking the GRE also. SO I know I need the 2000 hours, is my plan. Being I work full time to support myself for now, how would you recommend me obtaining these hours? Also, in 2004 through 2008 I was a licensed EMT and worked fulltime. So I am not sure those count, but I plan to atleast do more to ensure im competitive. I thought about volunteering at a hospice. Do you think I have a shot after all my pre-reqs are completed to get into a school in GA, NC or FL?